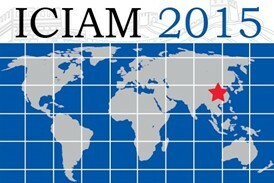 You are invited to contribute a presentation for ICIAM 2015 in one of the following formats. Click here to submit Mini-symposia, Industrial Minisymposia, Embedded Meetings, Contributed Papers, and Posters. If you want to know the full details step of submission, please click here.